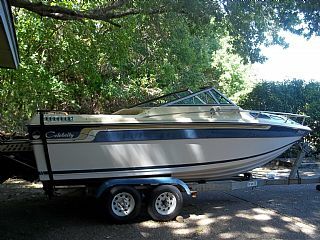 1987 Celebrity 210V Cuddy Cabin Very nice Celebrity 21 ft cuddy cabin with 230hp Mercruiser IO. 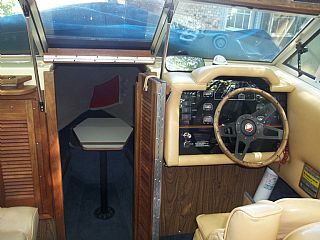 Stainless Steel prop, shore power hook-up, cabin lighting, power trim, teak trim and swim platform, teak lid on in floor ice chest, dual battery hook-ups, fire extinquishers, 52 gallon fuel tank, new sunbrella cover, trailer and new trailer tires. Please call cell phone @ 972-841-3489 $1,200 Mr.